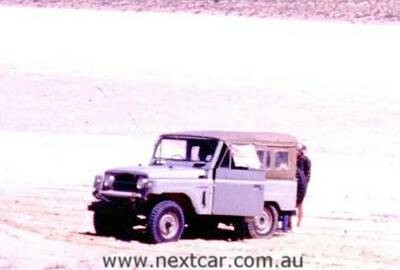 The first vehicle crossing of the Simpson Desert will be celebrated on its 50th anniversary in September 2012 with a re-enactment of the historic event featuring two of the original participants, months ahead of the local release of the new Nissan Patrol. Geologist and explorer Dr Reginald Sprigg, his wife Griselda and their two children, Doug (then seven) and Margaret (10), made the pioneering trip from Andado Station to Birdsville in 1962 in a short wheelbase Nissan Patrol G60 ahead of a small group of other four-wheel drive vehicles. The Nissan Patrol became not only the first, but also the only vehicle to complete the Spriggs’ gruelling 12-day crossing of the 176,500 square kilometre desert and its 1,000 parallel sand dunes. The successful crossing was one of a number of pioneering achievements by Reg Sprigg, who also discovered oil and gas fields in the Cooper Basin, founded SANTOS, Geosurveys and Beach Petroleum, discovered the world’s oldest fossils. 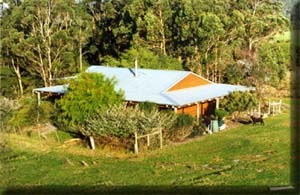 In 1967 he set-up Arkaroola Wildlife Sanctuary in the northern Flinders Ranges. The first documented crossing of the Simpson Desert only pre-dates the Spriggs’ achievement by 26 years. While explorers, including Charles Sturt, penetrated the forbidding desert as early as 1844, the first Caucasian to make a full crossing was E.A. (Ted) Colson, who in 1936 with an Aboriginal companion and five camels took 36 days to complete the journey. Geologist Cecil Madigan then led the first major expedition across the desert in 1939, naming it after Alfred Allen Simpson, the President of the South Australian branch if the Royal Geographical Society of Australasia. The 50th Anniversary Nissan Patrol crossing will largely follow the Spriggs’ original route. It will be led by an identical Nissan Patrol G60 to that used on the first crossing, crewed by Doug and Margaret Sprigg, who today run the Arkaroola Sanctuary. The actual Nissan Patrol used in 1962 disappeared many years ago and Nissan Australia is staging a country-wide search to locate it in time for the 50th Anniversary celebrations. 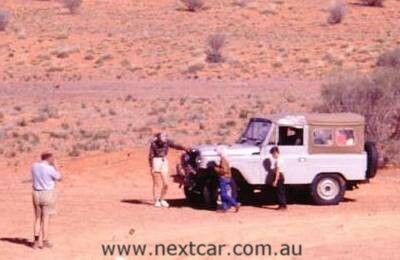 Reg Sprigg chose the Nissan Patrol G60 for the crossing based on its strength and suitability for the harsh desert terrain and at a time before the establishment of Nissan Australia in 1966. Based on the first short wheelbase Nissan Patrol developed in 1951 for military use, his Patrol featured a 3,956 cc overhead valve straight six-cylinder petrol engine, a three-speed dual range transmission, live axles and leaf springs. A highlight of the re-enactment crossing of the Simpson Desert will be the erection of a 50th Anniversary cairn near Birdsville. A documentary film will be made of the re-enactment while Nissan Patrol owners from around Australia will be invited to celebrate its conclusion in Birdsville.